The New Jersey race scene moved into full swing in early April with the Cherry Blossom Challenge. The team got off to a great start with Scott Steward taking the field sprint for 2nd in the 45+ race. We had 2 others in the top 10. David Kahl picked up 6th and Dave Margolin was 8th. In the 55+ Tom Bowmaster made right move at the right time and bridged to the breakaway group, finishing 5th. Once the bridge was made his teammates behind effectively shut down the chasers. Mark Light picked up 11th in the stacked 123 race. The following day was the Cape May Time Trial, held in cold and windy conditions. The team put in many top top 10 results. 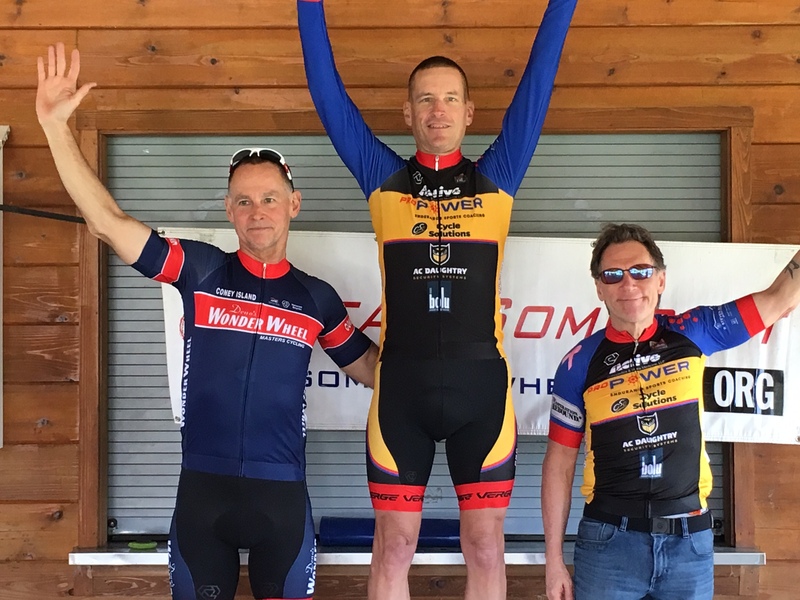 Phil Mania finished 3rd in the Cat 5 non-TT class with John Scully in 6th. , Dana Fallon took another win in the 60+ with Andy Buchanan in 3rd. Fresh off the plane from a week in Belgium, Mark Cowin shook off the jet lag and recorded 6th in the 55+. This past Sat the weather gods smiled and gave up warm and sunny conditions for the Allamuchy Time Trial. Again the team produced some podiums and top 10 results. 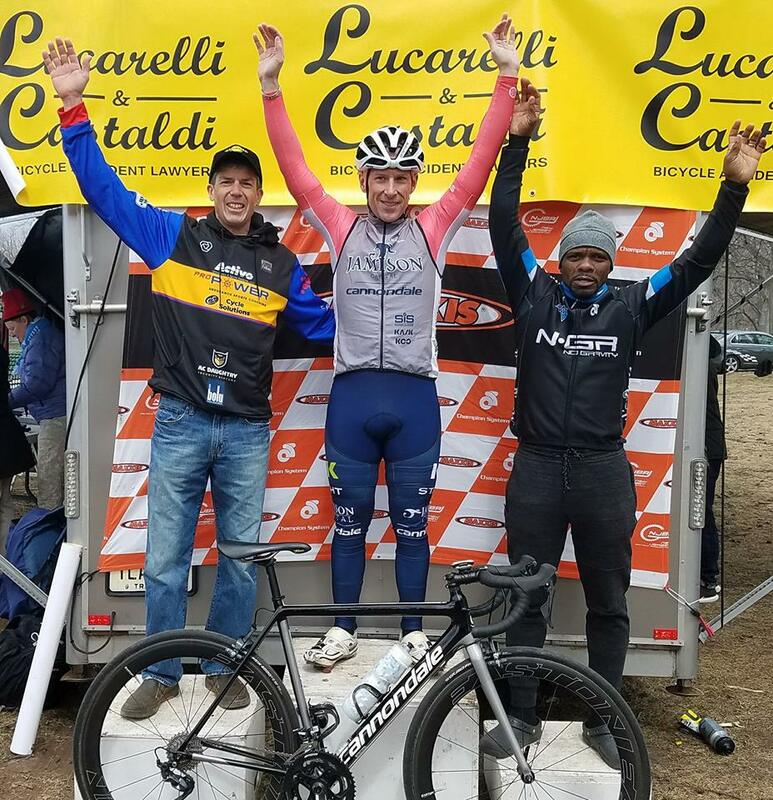 The 60+ race again had 2 team riders on the podium, with Larry Towner taking the win and Dana Fallon in 3rd, while Andy Buchanan finished 5th. 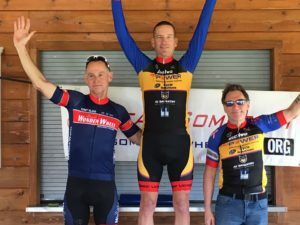 Mark Cowin was 4th in the 50+, Mark Light was 7th in the men’s open non-TT bike, and Jeff Lamb was 10th in the 4/5. Afterwards most of the team got together for a nice 90 minute ride on the beautiful Sussex County roads. Thanks to everyone who joined us! Sunday reverted back to cold and windy conditions. 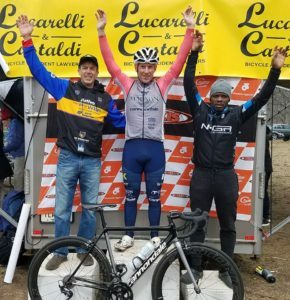 There was nothing on the road calendar but Dave Kahl raced the Ringwood H2H MTB race, unfortunately flatting while leading by over 2 minutes.